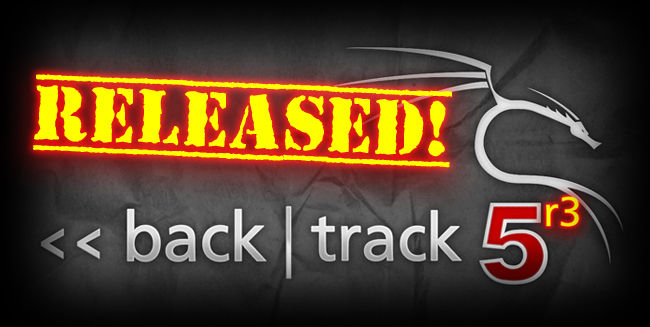 Back Track has come to refresh security tool arsenal – BackTrack 5 R3 has been released on 13 August 2012. R3 focuses on bug-fixes as well as the addition of over 60 new tools – several of which were released in BlackHat and Defcon 2012. A whole new tool category was populated – “Physical Exploitation”, which now includes tools such as the Arduino IDE and libraries, as well as the Kautilya Teensy payload collection. Back Track R3 Building, testing and releasing a new BackTrack revision is never an easy task. Keeping up-to-date with all the latest tools, while balancing their requirements of dependencies, is akin to a magic show juggling act. Together with our usual KDE and GNOME, 32/64 bit ISOs, we have released a single VMware Image (Gnome, 32 bit). For those requiring other VM flavors of BackTrack – building your own VMWare image is easy – instructions can be found in the BackTrack Wiki. Thanks for sharing, I love arsenal.